Librarians at UCSB join their union in seeking higher pay and ensuring academic freedom. UCSB librarians with the University Council-American Federation of Teachers (UC-AFT) union began negotiations with the University of California (UC) for a new contract in April, kicking off a six-month process. Salary parity and academic freedom are chief among their concerns going into the discussions. According to Kristen LaBonte, a UCSB librarian on the negotiations team, UCSB’s library has lost 12 librarians since 2009 because of the low salary and high cost of living. Of those 12, nine worked for fewer than five years at the university, and the average duration of their service is just under three years. As a result, librarians who stay take on additional responsibilities but don’t get as many opportunities to work one-on-one with students. UCSB librarians say that the current salary range at the UC is not enough for the cost of living in Santa Barbara. Both LaBonte and fellow librarian Yolanda Blue said that they had to work additional part-time jobs to cover their living costs. “It’s what one has to do,” Blue said. At the lowest end of the pay scale, associate librarians at the UC make almost 11 percent less than their counterparts at the Cal State University (CSU) system. At the highest level, CSU associate librarians make 20 percent more than UC associate librarians. In the past, contracts have come up for negotiation every three years. The most recent one lasted five years but fell short of some of the union’s goals. According to Axel Borg, the vice president of legislation at UC-AFT, university head librarians drew on the fact that only 10-12 librarians showed up at prior contract bargaining. “The university librarians were able to tell people that since they had not heard about any problems with librarian pay and profession development funds, it must be that the librarians were happy with what they were given,” Borg wrote in an email to the Independent. This year’s push features over 60 UC librarians, but another factor in the salary changes that occur are how university librarians handle each campus’s library budget. “Historically, the university librarians do not want to spend money on people and have been very tightfisted with any increase in salary or for that matter, professional development funds,” Borg said. 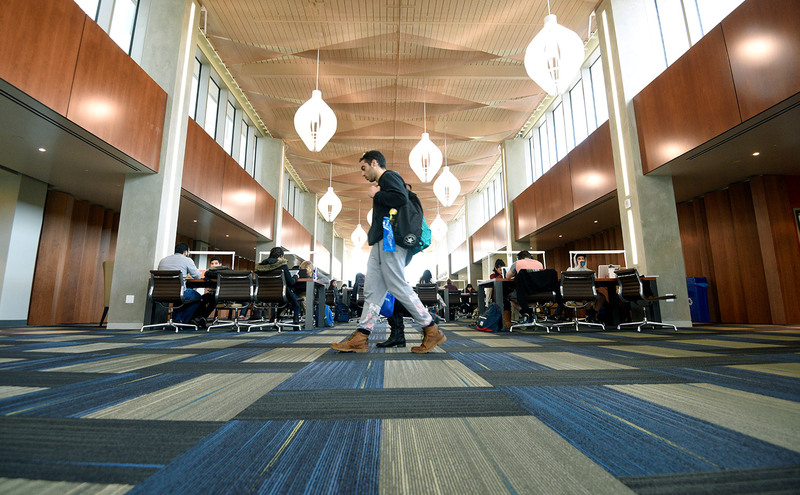 Librarians also conduct research and help teach classes, and the union said more institutional support would benefit staff advancing the ranks at their universities and the institutions’ scholarly archives. Additionally, while academic freedom has not been a problem in the past, LaBonte and Blue told the Independent that having protection against potential retaliation is important. Recent calls for wage equality, funding for professional development, and academic freedom are not unique to UC-AFT. Currently, AFSCME 3299, which represents a wide variety of workers at the UC, is on a three-day strike in response to what the union says is a failure to address “widening issues of inequality. Despite this, LaBonte said that the union’s ultimate goal is not to be adversarial. The point is to achieve “mutual support” between libraries and UC administration, all while advocating for improved funding and scholarship.